GotEngines.com is now selling used engines cheap for a new fall sale. This sale is now underway and will continue until the remaining in stock inventory is depleted for used engines and rebuilt engines online. The new sale that GotEngines.com has arranged for its customers is one of many that have taken place in the past 12 months. GotEngines.com is now selling used engines cheap for a new fall sale online. This used engine retailer has acquired new inventory of Ford, General Motors, Chrysler and Dodge engines and is selling these at discount prices. This new fall sale is now underway and is expected to remain in effect until the current inventory is sold. This new sale is designed specifically for the various groups of buyers that purchase used engines online. These buyers include body shop mechanics, private mechanics, junkyards and some salvage companies. The direct link to access the GotEngines.com inventory is available here http://www.gotengines.com/blog. Sales of used engines have grown online since many engine retailers started offering these engines to automobile owners and businesses in different states. 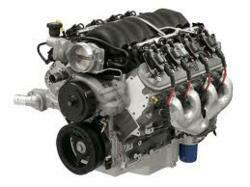 One of the reasons that the sale of used engines has become popular is engine condition. Some junkyards take in used engines for sale and offer these to the public for sale in various conditions. These engines are not always verified by a mechanic or with other types of testing equipment. Some online sellers are able to purchase used engines for sale from distributors that offer engines that have been checked for accuracy before sale. The GotEngines.com website has a complete staff of professional mechanics that perform testing and evaluating work of used engines prior to shipment. Warranties for used engines are not always included online depending on where these engines are purchased. Some sellers purchase engines from wholesalers and others direct from engine owners. The standard used engine in the auto industry comes complete with a 30-day warranty. Some buyers that purchase these engines realize problems that happen after the warranty time period has lapsed. GotEngines.com has been one of the companies online that does offer a warranty that is generally longer than the standard engine warranty. Engine age, mileage and the retail prices are some of the factors that are used when lengthening the time frame for warranty coverage. The new sale that GotEngines.com has arranged for its customers is one of many that have taken place in the past 12 months and this trend is set to continue. Past offers have been related to specific engine types. One incentive that has remained current is the offer to ship engines free of charge for continental U.S. buyers. GotEngines.com currently picks up the shipping cost of engines departing from its warehouse to help buyers lower the cost of purchasing a used engine online. Selling used engines for all makes and models is how GotEngines.com earned its reputation online as an engine retailer. The lower than MSRP pricing and expert sales staff are just two of the reasons that website traffic numbers into the thousands daily for this website. By selling engines to the general public and to the trade industry, GotEngines.com has been able to expand its company into new markets in the U.S. and Canada. New incentives like free shipping and extensions of the warranty for the majority of the used engines sold have helped customers identify with GotEngines.com as an Internet leader for used engines.